It’s sick the way a feud between KESC & SSGC was used by a lot of people to attack and vilify Punjab.All rationality and logic were thrown out the door,only the mentality of blaming punjab for everything prevailed. 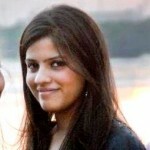 Maheen… as a consumer… I really appreciate your piece. We as people need to be calm and analyze the situation. We cant be thankful enough for the Electricity situation in Karachi. I remember the first drop of rain and the power going off indefinitely. I remember that haphazard, unannounced load shedding all over Karachi for long hours at a stretch without any logic or reasoning. What really disturbs me more is when educated people get on social media and start bad-mouthing without knowing facts. Some go really far and it seems as if they are paid to do that. I always try and raise my voice because I, as a consumer, just like you appreciate how far we have come and I support KESC for how they have handled the situation with consistent amelioration. As public, we have learned, specially through social media, that we can make our voices be heard. Hence, it becomes our responsibility to raise it in a well-informed and educated manner and exert pressure at the right quarters. First cut of power to rest of Pakistan,then cry we’re being discriminated against.People of Karachi need to start thinking of all of Pakistan.Rest of Pakistan is suffering while people in most of Karachi are getting no load shedding.KESC is getting billions of rupees in subsidy from the tax payer’s of all of pakistan including punjab.The people of Punjab,KPK,Balochistan are subsidising KESC so the people of Karachi can have no load shedding. What a shoddy analysis (if at all it can be termed as analysis). There was no mention of 35% plus line losses/theft under KESC jurisdiction and the piling payable of KESC by the writer. By the way the line losses in LESCO, FESO, GESCO and IESCO are around 10% agaisnt 35% of KESC and still you people praise KESC. @Tahira Farooq: Punjab is not being persecuted by the people of karachi, the only reason you dont have power is because your power is controlled by an incompetent government agency whereas power in karachi is controlled by a brilliant private company. I understand your frustrations, and to be honest i have felt very similar wrath of load shedding in hyderabad too which is right next door to karachi. 30% theft and bill defaults in Karachi,yet they get no load shedding.12% theft/defaults in Punjab,yet Punjab gets 20 hours load shedding. Um… she isn’t creating provincial divide. She is responding to it. The first few comments of the bias that clearly exists. Please don’t take our electricity. We have enough problems as it is. After reading this post all I would like to say is ‘Thank You’. Wonderfully put. Unbelievable.you get no load shedding inspite of having 30% theft/default,then cut off gas/electricity supply to Punjab for Five years and now are playing the victim. FYI Karachi isn’t the only city in Pakistan,it’s people are just as important as people in the rest of Pakistan.This mentality of i’m better than the people in other provinces is deeply racist and reeks of bigotry. You’re getting 650MW extra,illegal electricity from the national grid which the previous federal government granted to KESC in the middle of the night in 2010. End Kunda culture in Karachi.30% of Karachi doesn’t pay their bills or uses kunda yet the rest of Pakistan suffers from 20 hours of load shedding daily. I am a PTI supporter but really surprised by the crass comment by Shareen Mazari on twitter. She has lost all sense when it comes to her comments. It’s amazing how the people from Lahore put senseless comments on this blog. KESC should get the gas that’s produced in Sindh before that gas is given to anyone else. Karachi already has alot of problems while it generates 65-70% of the revenue for the economy. If you cut off electricity from your economic hub then there would be nothing but unemployement and disaster to follow. @Tahira Farooq, ALL other provinces feel discriminated against by Punjab. Pakistan is a country where everyone expect Punjabis are a minority and this PML N government and commentators like you will perpetuate this. It is only in the last couple of years that load shedding in khi has been controlled , has happened according to a schedule and yes, it has been less than in lahore. Having said that ,I remember growing up in khi. A time where generators were unheard off, or were certainly a luxury beyond our means and UPS, units which had yet not arrived on the local circuit. I remember power outages through the night, unscheduled loadsheddings for hours on end, I remember studying for exams in the glare of portable lights and often in candle light as well.I remember landing in khi (while my dad worked in the gilflike so many of our parents did at that time) and coming home to a house in darkness, where my uncles and aunts would be up fanning themselves with newspapers and such. I speak about a large stretch of time from the80’s to the new millennium ,where it was considered normal to have loadsheddings ( a word certainly not coined at that time ). I don’t remember complaining and I don’t remember comparing itto Punjab or any other province. It seems to be a cross we have borne with grace and dignity and keeping in mind that for us it was a norm and I don’t remember ever having the feeling of being singled out. Maybe I didn’t know better. This is what I got from the article… ‘so many people are killed daily in Karachi due to sectarian and political mafia related violence… so there should be no load-shedding in Karachi’… the idea is utterly ridiculous and the two problems are completely unrelated. What is logic? The logic is that there are areas in Karachi with NO LOADSHEDDING AT ALL whereas there isn’t any in Punjab, KPK, Balochistan with 24 hours power availability? The logic is that KESC has 35% Line Losses aka corruption as compared to 10-25% in Punjab? The logic is that just behind New Town Police Station, Karachi, you can get a ‘Kunda’ in monthly 500 per month and there isn’t one single damn spot like this in Rawalpindi? The logic is that you guys are giving it an ethnic color by relating KESC to Karachiites emotions, same as MQM does? The logic is that Karachi is central hub but you minus it from Pakistan, it will be eaten up by India? The logic is that Karachi is the central hub with enough wheat to feed it’s natives whereas Punjab, KPK, Balochistan is nothing at all, without any importance??? I can’t believe some of the rubbish I have read in this article. Fine, Karachiites deserve to get electricity if they pay for it, but who raised their voice when Punjab especially Faislabad was subjected to the worst loadshedding ever during the last 5 years. I think now some folks in Karachi are beginning to understand what Punjabis felt like for 5 long years. Have some patience, PMLN has not even formally started its term as a government, and some guys are already flogging Punjab for their power crisis. Punjab is Pakistan. If you are Punjabi you have the right on Pakistan others go and find some other place. They have more love for their neighbouring kaafirs then the muslims living outside punjab. 1st of all every instead of saying geo Punjab or Sindhi try to say Geo Pakistan. Till The day we are not united, will b get ripped. Have u ever heard of violent strike or protest in any developed country. This makes us not developed & civilised. And people who differentiate Karachi & Lahore on basis of default & theft issues they should look at stats of government revenue. I hope you guys know government revenue means I’m talking about TAX. Sindhi (specially KARACHI) is most revenue generating part of PAKISTAN despite of fact that Punjab has more industries. Even you can say small type of industry in almost every house. Then WHY there not tax recovery from Punjab? Want to go foreign & study but call them wrong. So please don’t give useless comments if u don’t have anything productive to talk. Maheen, the facts are not making any compariable situation Karachi/Sindh Vs. Punjab since just 6 hrs loadshedding in a day & 1 day CNG cut once a week in Karachi. Too all those people stating there are areas in karachi which face no load shedding at all, find me such areas and I’ll name all my property after you. I mean seriously? Do you live in karachi? Do you know what it feels like to have someone you love kill right in front of your eyes? I strongly support this article, if people of lahore wants equality, then please, share our target killing, terrorism and law and order situation as well. The basic point of your arguments are non sense. Stop being jealous of karachi, I know it’s hard for Lahori’s to digust this, as Quaid-e-Azam himself choose karachi as the capital but please, jealousy isn’t going to help you out. United Pakistan is what we need, not this enemity between provinces. Right now I am having an one hour scheduled load shedding in Karachi which a few days back abruptly increased to two hours .The Governor intervened and it worked .People of Karachi should be thankful to MQM for this . But still some of the comments above supporting Karachi’s “right” is simply absurd !!!!!. I have spent a couple of months in Lahore the last summer in one of the posh areas . They coped with generators and UPS , no problem . Had the chance to visit Ichra and Baghbanpura . It was just inhumane witnessing toddlers and babies yelling and crying during load shedding and the mothers were trying in vain to appease them . Maybe we could have grudge against Punjab , but people of Karachi do need to have a heart to share what little resource we have . I heard you are saying about upgrading of backup power. Do you feel that everyone can afford backup power. All these games are the bitter fruits of Beaurucracy. And everyone knows the constituency of Beaurucracy. Yes, Punjabis. @Anil Khan..I am talking about the tax collection. Please tell this to punjab that we are a team, which always acts like a bully and i have always noticed Lahoris competing with khi and their resentment towards karachiites which i fail to understand. The part which gets electricity in Karachi has the lowest rate of default (i.e. SITE area). Go check figures on KESC website. The law and order situation in Karachi needs to be compared to the other parts of Pakistan as well in this analysis. Just wondering, what are the T&D losses in FATA?! BTW DHA and Clifton are part of Karachi not the city itself even these areas are not exempted from load shedding….We are experiencing 10hrs load shedding on daily basis…. 1) Karachi’s daily electricity demand is 2700MW, of which it ‘Purchases’ 650MW from WAPDA (pls read again, it is not gifted), meaning that the remaining 75% is generated by the city’s own generation co – KESC. How much does Lahore generate as a city? 2) The 650MW ‘Purchased’ from WAPDA is under a contractual obligation, which is to last til 2015 and was part of the privatization agreement; which the Govt and WAPDA know well abt that they can’t tinker with, else they wouldve taken it back, loooong ago. 3) WAPDA’s system, comprises of power generation through hydel resouces, which are a National asset – and hydel generation being the cheapest. So Karachi, which generates 65% of the country’s GDP, why shud it not get a fair share or get to benefit for the nation’s ‘National Resources’?? That too given the fact that WAPDA/NTDC’s installed capacity is around 18,000MW, and the 650MW which KESC buys of it is roughly not even 4% of WAPDA’s capacity. So whAt is the hue and cry about??? 4) KESC in the days of state ownership, was making a loss of Rs. 1 Billion/month, which the Fed Govt had to subsidize aka foot the bill for the loss. Hence after privatization, the Govt took a sigh of relief…. (Not having to foot the bills / losses of a financially sick co). 5) KESC’s NO load shedding policy is not a luxury or a discrimination of sorts; infact it is under a promise to its consumers, that areas which have No or Low Loss will have No Load shed. Meaning areas, tbat pay their bills in full, should get full supply; simple economics of business. Areas, which are loss making, should not be given rights over those areas who pay in full. The result of this philosophy has been such, that right now 50% of Karachi has ‘0’ Load Shedding’ merely because those areas have No or low losses. The remaining 50% of Karachi, steals 30% of the total electricity produced by KESC, hence they face load shed from 3 to 9 hours a day (LS depending on the severity of the loss). 6) The Federal Govt owes Billions of rupees in unpaid bills… Yet expects the private company to stay afloat. The Karachi Water Board is the Biggest defaulter of KESC, owing it over 22 Billion; but KESC does not, can not cut its power supply, else riots break out in the city; that KESC has anti-humanitarian policies, since cutting off power to KWSB wud mean, running the city dry…. 7) Sindh produces 65% of the total gas produced in Pakistan, but is allocated on 30% for consumption; likewise Punjab produces only 25% of gas, whiles consumes the lions share of 60%. So where is the sanity in that….? So let’s not start getting into that I vs you thing…. There should another option in the POLL. “Will get worse” Esp for Karachi. reading all the comments and the article itself… I am just wondering if the Writer is Pakistani or just a Karachite. Please think beyoud internal boundaries atleast , this for sure is KESC vs. SSC. you seriously need to get your facts right..
we live in country , we are all Pakistanis . WE HAVE TO SHARE. Rest of Pakistan is paying fuel adjustment charges on 650 MW of electricity being given to KESC. Currently Government of Pakistan has to pay 200 Billion PKR as pending fuel adjustment charges to IPPs – this amount is just for 6 months. In fact consumers in rest of country is paying fuel adjustment charges for consumers in Karachi. As far as gas allocation is concerned, rest of Sindh is being discriminated against as KESC is provided cheaper gas instead of them making electricity using Furnace Oil. And Sindh is being provided electricity from IPPs – they are paying more money on per unit basis. KESC has to pay 40 Billion PKR to SSGC and 65 Billion PKR to PSO. Federal government is paying 60 Billion PKR per annum to KESC in the name of subsidy. Punjab does not want any change in gas allocation to KESC but Federal government need to stop giving 650 MW from the national grid and 60 Billion PKR per annum on the name of subsidy. If Karachi don’t want to pay the bills, let the Sindh government pay from it’s budget. Punjab is contributing more than 60% of GDP of Pakistan. I am afraid that if Karachi remains in the mess, it is currently in – the share of Punjab in GDP will grow further. As for tax generation, allow me to tell my friends that almost 70% of business/trade/financial transactions being done in or with Punjab so if HQ of a bank or MNC is in Karachi it does not mean that Karachi is generating that tax revenue, it is merely collecting it on behalf of the federation. We should be mindful to our discussion on the subject otherwise we could see Punjab forcing the banks/MNCs to shift to Lahore or Islamabad. Being a Karachite and with a family there from 1940’s – I really wish to see Karachi going wonders and competing against cities like Manila, Bangkok, Mumbai, Dubai but unfortunately we have lost last 20-25 years in petty conflicts. Let us stop asking for free lunches. I’m really disappointed by all this hatred portrayed by the people of Karachi & Lahore here. We should stand united, not pointing fingers at anyone. The author’s article has done nothing but to incite further divide among people of both cities. We should be willing to share with each other in the hour of need, not the other way around. The attitude held towards the party may be justifiable, but it would be appreciated if you don’t stereotype the people associated with the province. I’ve had my share of life spent in both Karachi & Lahore. 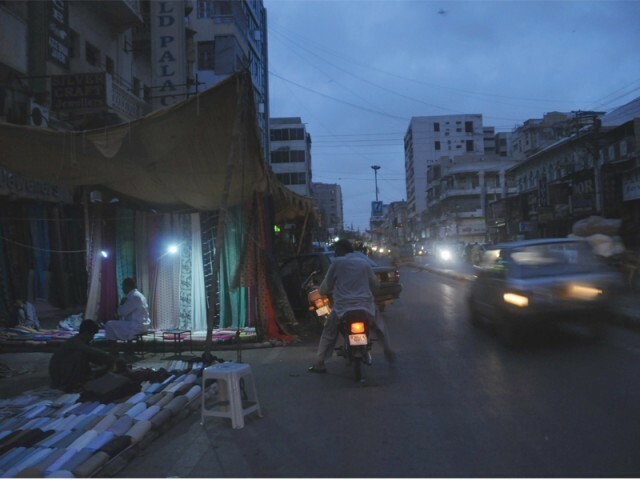 While Karachi may have electricity, it however is no longer a place safe enough to live in and earn your living without fear of getting shot at. I held the parties mainly responsible for this fiasco, as its the common man who has to endure these atrocities. No one is denying Karachi’s role in contributing towards GDP of Pakistan (20% of total Pakistan’s GDP) and 55% approximately revenue (which is mostly generated by customs & sales tax on imports, since its a seaport), do not forget that all other provinces have their own contributions and importance as well. Punjab being the largest producer of wheat & cotton, your textile industry is pretty much operating in Punjab. Imagine how detrimental and disastrous this load shedding is wreaking havoc on this profitable industry, which is responsible for bringing foreign capital and generating exports for the country. Balochistan is rich in natural resources, due to the incompetencies of the government, they’re yet to be utilized. What irks me the most is hostility towards the construction of Hydro Power Plants such as Kala Bagh Dam. Water is a matter of life & death for us people. Do you want to see the time when India completely blocks off our water and we’re left with nothing but sand and silt in our riverbanks? You want cheap electricity, demand for construction of Hydro Dams. There’s no other way around it. We need those Dams pronto, if we wish to survive. You people voted for these parties to be in power. Held them accountable for crying out loud, not the people who are already suffering. Lets not bring industry or revenue into this. How can we generate revenue when there is no electricity. Have you seen Faisalabad, our industry is mostly stand-still. Let me tell you about my business, we had to run generator for 140 hours in last seven days; tell me how do you justify that. As far as Pakistan paying for Karachi power concerned is wrong. the fact is other way round, Karachi is contributing 70% of Pakistan revenue. Second, its a hard commercial fact. KESC being a private company (not hijacked by excessive work force) is making sure it provides service and in return get the revenue, which at present is going fine. Well Karachities! MQM treats you so well with the bori band lashain and bhata! you guys so deserve it! !